The cooperative practices of a small village’s mushroom foragers show how communities can profit while still protecting the environment. 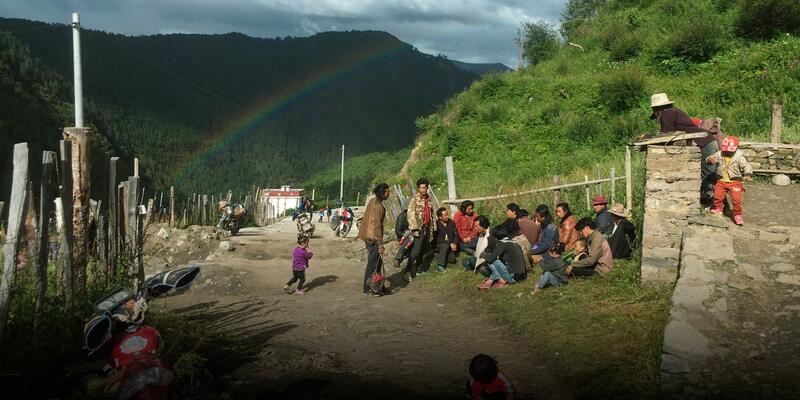 Located in the Garze Tibetan Autonomous Prefecture — deep in the mountains of the southwestern province of Sichuan — as of my visit there in early 2018, the village still hadn’t been connected to the country’s mobile and broadband networks. In lieu of reliable cell service, I was told that every other night a few villagers make the perilous drive through a pitch-black valley to the one nearby cliff where they can get reception. Their mission is twofold: to bring back news from the outside world, and to negotiate prices for that day’s matsutake crop. 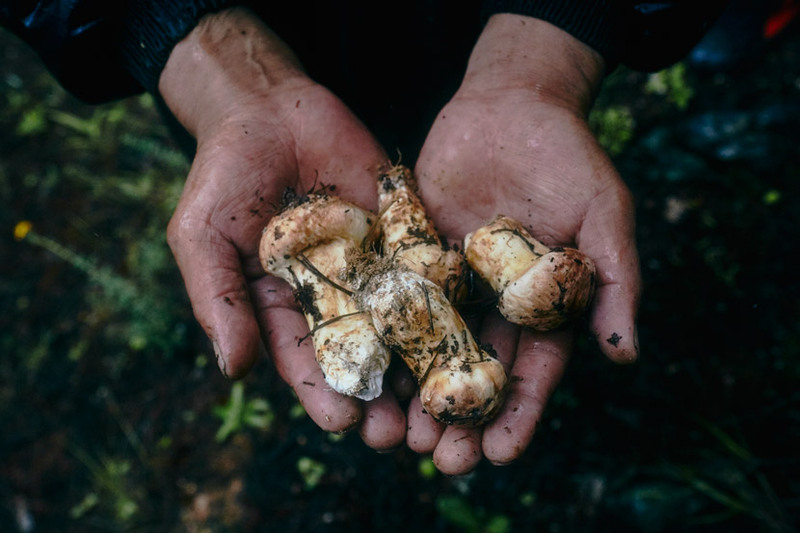 In season for just two months out of the year, matsutake grow wild throughout the forested slopes of the Hengduan Mountains, which stretch from the Qinghai-Tibet Plateau in the country’s northwest down through Sichuan and into the southern province of Yunnan. It was not until the 1980s, however, that a combination of looser export restrictions and booming Japanese demand turned this fungus into a local cash crop. Today, an experienced mushroom picker can earn as much as 350 yuan ($50) in a single day — nothing to sneeze at in a region where the annual per capita income of many households is less than 2,000 yuan. Yet in a remote, impoverished community such as Bade, the presence of freely growing, easily accessible, and highly valuable agricultural products like matsutake can be a curse as much as a blessing. Highly seasonal and difficult to cultivate, the matsutake harvest is a zero-sum game: The more one person picks, the less there is for everyone else. As a result, cutthroat competition among foragers across much of the Tibetan Plateau has led to an epidemic of overharvesting, along with environmental degradation and social ills. It’s not just matsutake that are affected, either. 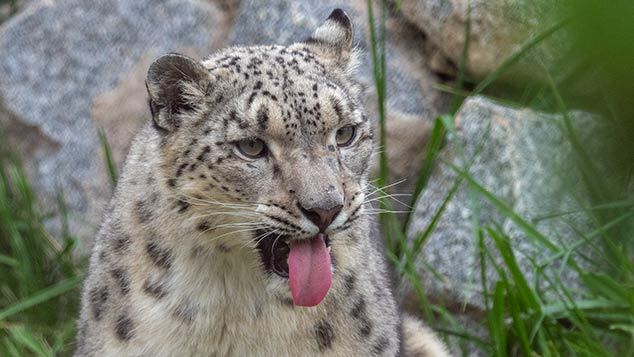 In many places, local stocks of caterpillar fungus — better known as “Himalayan Viagra” — have been foraged to near exhaustion. For the past several decades, however, Bade has been relatively immune to such strife, and the community has been able to maintain a united front on issues related to foraging. For instance, villagers abide by a long-standing tradition that says no one may begin searching for mushrooms before 10 a.m. This rule is enforced through communal monitoring, but most villagers don’t need much minding. One morning during my stay there, after casually mentioning that it was already 10, I watched as everyone instinctively reached for their phones to make sure the appointed hour had indeed come before setting off on their individual hunts. This informal agreement between Bade’s villagers bears a close resemblance to what the Chinese government calls a “village compact” — a locally established and non-legally binding yet officially recognized set of rules for governing life in rural areas. According to the American political ecologist Emily Yeh, village compacts were first promoted by the Chinese government in the 1980s as a means of allowing villages — especially those reliant on the harvest of wild plants and fungi — to manage resources at the local level. The core idea was to use compacts to minimize environmental degradation and balance the interests of individual households against the needs of the entire village. This consensus-based governance model has taken root in Bade. “The agreement is in everyone’s best interests,” explains Tenzin Phuntsok, the 30-something village head. “We all have other work we need to attend to, such as taking the cattle out in the morning, and without the agreement, the competition [for matsutake] would be too intense. And hiking up the slopes at 5 a.m. is just dangerous.” Tenzin says he doesn’t know when the agreement was first put in place, but that it had been in effect as long as he could remember. 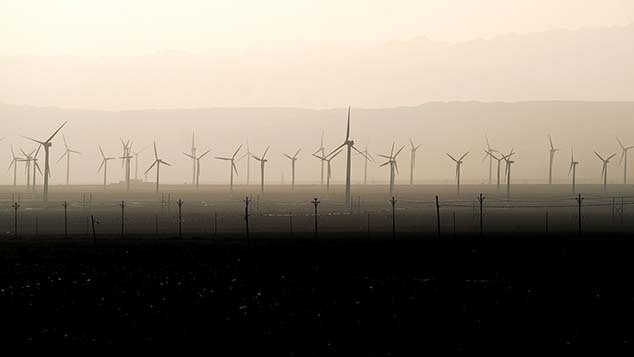 In addition to coordinating on timing, villagers in Bade also cooperate to avoid overexploiting local resources, a serious problem elsewhere on the Tibetan Plateau. During periods of low rainfall or falling yields, villagers typically agree as a group to temporarily suspend matsutake foraging and concentrate instead on one of the dozen or so other lucrative though harder-to-harvest medicinal plants that grow wild near the village, including fritillary bulbs and snow lotus. Bade’s experience suggests that it is indeed possible to forage for natural resources while also holding individuals accountable to the needs of the collective. When I asked why villagers in Bade seemed more conscious of environmental issues — and more willing to cooperate to resolve them, even at the expense of potential short-term profits — when compared to foragers elsewhere, Tenzin pointed to both the influence of recent state-directed environmental campaigns and a popular resurgence of traditional Buddhist belief in the area over the past decade. The former has resulted in increased funding for environmental work, giving villagers jobs patrolling forests and promoting grassland preservation. The latter, meanwhile, has seen locals regain a respect for their mountainous birthplace and the environment around them, with many villagers once again becoming vegetarians, for example. The confluence has also done much to strengthen community ties. This social unity is evidenced by price negotiations. In the evening, after the foragers return from the mountainside, the heads of each family gather in the village meeting house to await the arrival of potential buyers. If no one shows up, they pick a few young but experienced motorcyclists to take the mushrooms on a nighttime run to the nearest market, located an hour away. Matsutake prices are volatile, however, so sometimes these representatives must make repeated trips back to Bade to confirm prices with the household heads before reaching a consensus. All prices are negotiated by and on behalf of the collective, ensuring that villagers’ bargaining power remains strong and that families do not compete against one another on price. The concept of village compacts — whether official or more informal, as in Bade — was endorsed by the late Nobel-winning economist Elinor Ostrom, who spent years studying how communities manage resources. Ostrom argued both against a centralized, state-run approach as well as a blind faith in privatization and market forces. Instead, she advocated for the communal oversight of resources at the local level. Yet implementing any kind of village compact is easier said than done. Such agreements require high levels of trust among community members. Bade’s consensus was forged atop a close-knit web of kinship ties, with the result being a well-defined system of rules and a clearly delineated set of rights and responsibilities. This reliance on familiarity and mutual trust also makes such agreements hard to scale up. This past summer, a conflict arose between Bade and a neighboring village that Bade residents said was encroaching on their matsutake-foraging territory. The dispute was only able to be patched up after local officials and religious figures intervened. Bade is by no means a utopia, but the community’s experience suggests that it is indeed possible to forage for natural resources while also holding individuals accountable to the needs of the collective. By building trust at the grassroots level, establishing effective monitoring systems, and protecting the rights of laborers and residents to organize themselves into economic blocs, it becomes possible to implement a resource-management regime that is both environmentally responsible and economically viable. In Tibetan, “Bade” means “village of heroes.” That’s a tough name to live up to, but perhaps it’s appropriate. At a time when the world is beset with environmental challenges, the villagers there are doing their part to maintain the balance between man and nature.